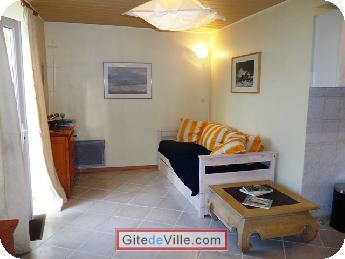 Vacation Rentals - Holiday Rental ads in the city of Reze in France for Tourism. 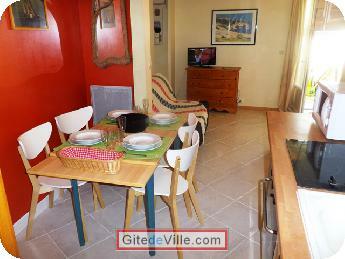 Self Catering Vacation Rental of 25 m² in Reze for 4 peoples. Beaurivage today remains a nice quiet meadow at the edge of the Loire and the turning area of " Panamax " ships of 250 meters in theyr way down to Atlantic . 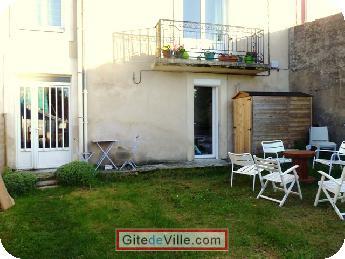 We offer some of this meadow with stunning views, in the heart of the port of Nantes, in a balcony garden of 100 m² overlooking the street to maintain your privacy . 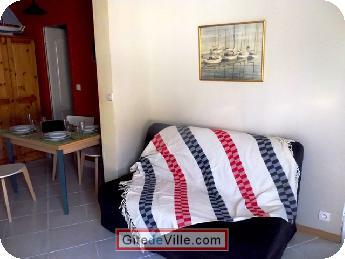 Beaurivage is the central studio of" Trentemoult, plage de Nantes " , it can accommodate four people, two couple or parents and two children, but when combined with the other two adjoining , California and Port au Blé studios , it can accommodate six or eight people. Sleeping in two bunk beds to sleep two or separate twin beds, sofa turned into a nice day to watch TV or enjoy the garden and the Loire. BZ sofa for two allows two people to sleep. A large kitchen complete with double sinks , oven , microwave , coffee maker and toaster , alongside an elegant dining area or extending table can accommodate two to eight people. Dirty one with shower and toilet. 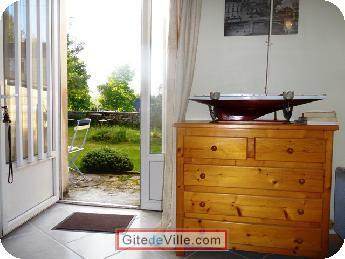 Two dressers and a wardrobe to accommodate all travelers' clothing . 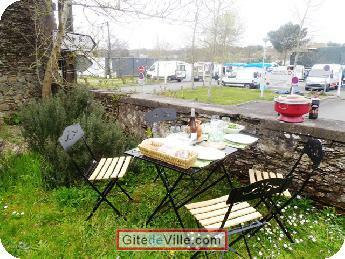 Trentemoult village is one of the most touristic district of Nantes , formerly Isle of sailors and fishermen , shipyards workers , today is a landmark of artists who organize frequent exhibitions at home or outside. 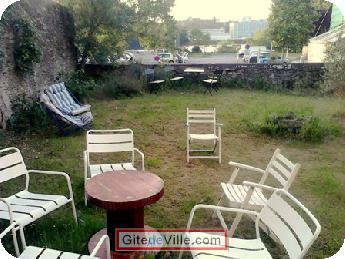 In front of the garden, parking of the ferry to Nantes held a lively farmers market every Saturday morning. A big market center 200 m behind the village, and a bio one. And if Nantes is no longer the "Venice of the West " you'll enjoy get there the local vaporetto , the navibus " whose pier is at 300 m to tram line 1 to the city center between (three stations) raiway station in 30 minutes gate to gate . A bus line 30 , on the other side of the street, for correspondence with the tram line 3. 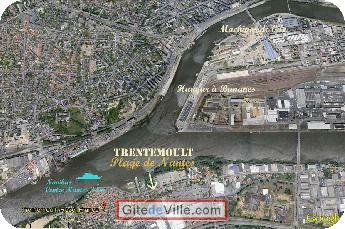 And do not forget , in front of you the glorious Loire, which is already the ocean to stay " on the beach in Nantes ." Last Ads update : 05/12/2014. 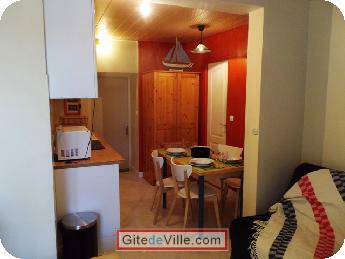 Owner of an urban accomodation or B&B to rent in Reze ?